The Mando Orchestra ensemble is consisted of plucked strings family instruments. Divided into 5 sections, it's orchestration is done in a way that divides the music so that everyone plays his own part. The symphonic musical goal is to achieve beauty & balance in sound. 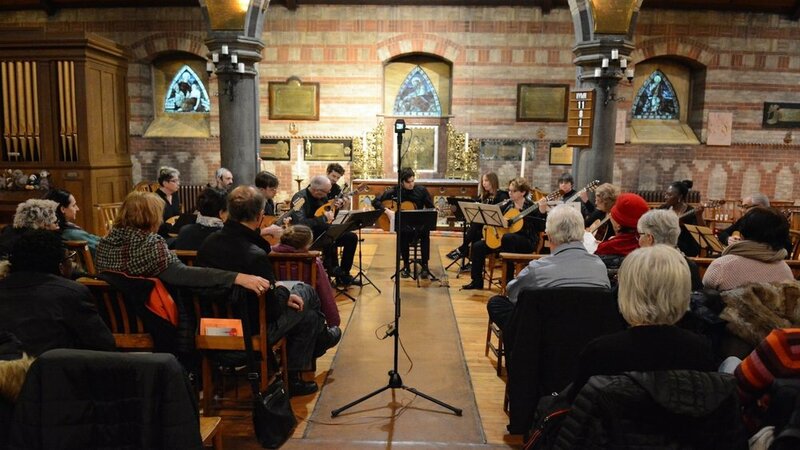 This weekly activity is offered to those who want to play the mandolin and guitar group. A unique opportunity to meet and develop music skills for the presentation of a concert. THE ONLY REQUIREMENT IS TO BE ABLE TO READ A LITTLE BIT OF MUSIC! The repertoire presented by the orchestra at the concert will consist of 8 pieces of different levels. The preparatory sectional workshops will take place alternately during 6 Wednesdays or Monday evenings from January 28th to March 20th. Subsequently, all the groups merge for 8 Wednesdays from 18h to 20h from March 27 to May 22. Participants will have the opportunity to consult at any time, an accompanying video bank for each piece in order to facilitate the preparation. Carrier of the main melody, this section is traditionally reserved for more advanced players and soloists. Generally easier to play, this section is advised for mandolin players who have never worked in a orchestra. It plays in harmony, counter-melody and sometimes in unison with mandolin one. This section is the tenor voice of the orchestra. Full of rich and beautiful melodies, the musicians in this section are sometimes required to play alone. Mando Montreal offers the opportunity to borrow an instrument to experiment during the workshop. 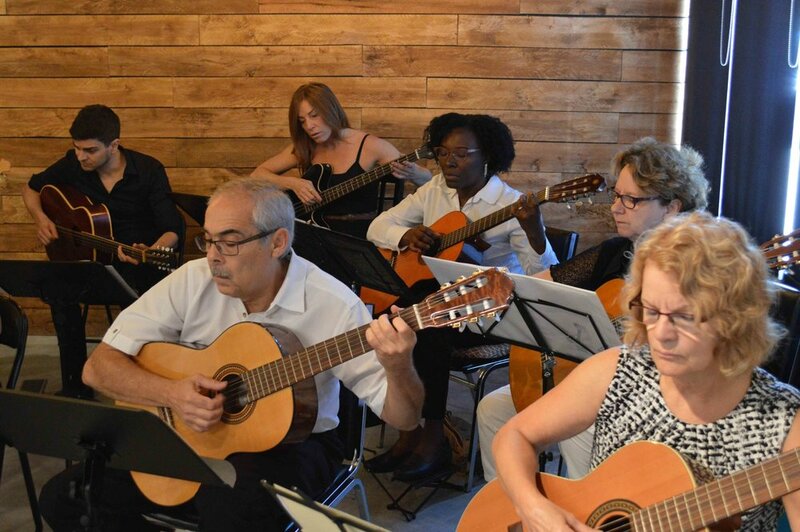 Musical foundation on which all the melodies sit, the guitar accompaniment section is a real fun to play! A good sense of rhythm and music reading skills are essential for this section! Guitarists who do not have sufficient skills for reading could play this section a for convenience. This tenor section offers great opportunities together with mandolins. ﻿What are the musical styles covered? 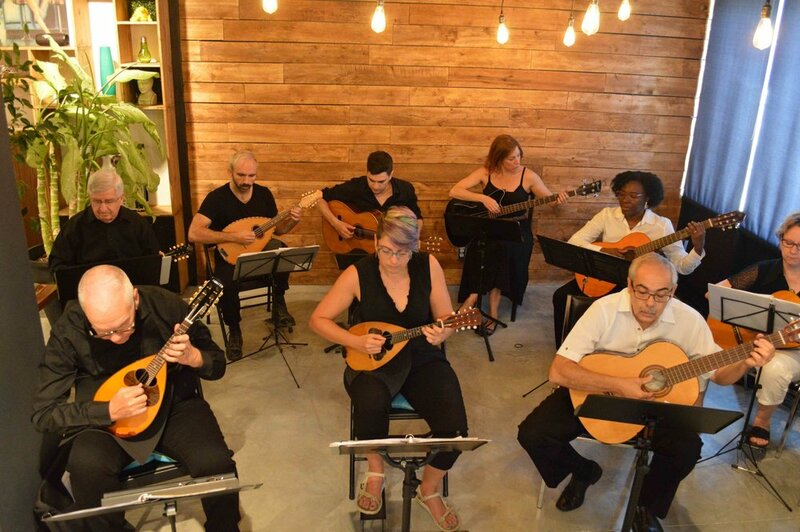 The Mandolin and Guitar Orchestra sound lends itself naturally to a wide variety of musical styles. Some existing music in the repertoire are pure gems. We try to cover classical and romantic music styles and sometimes adding a touch of jazz or film music. What are the challenges to consider? Playing in an orchestra is always a challenge. You must follow the leader, your section, while staying focused on your score. What if I think I do not have the sufficient level? 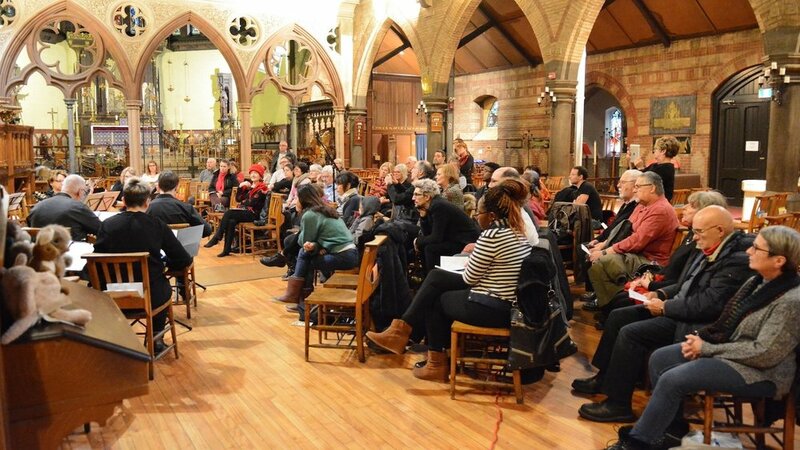 If I am an experienced musician, what can this workshop bring me? The Mando Orchestra welcomes experienced and professional musicians. The concerts programming articulates around the strengths of the participants. You may want to take part in the pieces as a soloist or in more advanced pieces.